According to a recent Gartner survey, Artificial intelligence (AI) learning has moved from a specialized field into mainstream business use with 37 percent of respondents reporting their enterprises either had deployed AI or would do so shortly. WekaIO’s Barbara Murphy explores the path of artificial intelligence from the fringe to mainstream business practices. Find out what is driving AI growth and adoption. Pure Storage (NYSE: PSTG), the all-flash storage platform that helps innovators build a better world with data, today announced its second AI-Ready Infrastructure offering, AIRI™ Mini, powered by NVIDIA. Architected by Pure Storage and NVIDIA, AIRI is purpose-built to enable data architects, scientists and business leaders to extend the power of the NVIDIAⓇ DGX-1™ system. DDN Storage (DDN®) and Parabricks announced the availability of a jointly-integrated technology solution that provides massive acceleration for analysis of human genomes. The breakthrough platform combines GPU supercomputing performance with DDN’s Parallel Flash Data Platforms for fastest time to results, and enables unprecedented capabilities for high-throughput genomics analysis pipelines. 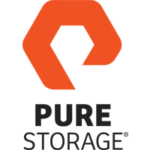 Pure Storage® (NYSE: PSTG), a leading independent all-flash data platform vendor for the cloud era, announced significant customer momentum for FlashBlade™, the system purpose-built for modern analytics. Since general availability in January 2017, FlashBlade has gained traction among organizations running and innovating with emerging workloads, specifically modern analytics, artificial intelligence (AI) and machine learning (ML).